Are you a Magento user? You’re in luck. BlueSnap has joined forces with Magento to help merchants sell all over the world easily and securely with the BlueSnap Extension. 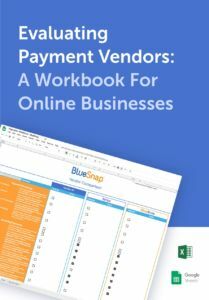 While Magento offers you a powerful and flexible online store, BlueSnap completes the purchase flow and improves conversions by offering a streamlined checkout experience in 180 countries, supporting 29 different languages, 60 currencies and 110 payment types. Magento is a feature-rich eCommerce platform built on open-source technology allowing you the flexibility and control over the look, content and functionality of your eCommerce store. Magento’s flexibility allows you to build your online store with advanced features to help attract, convert and retain more customers. The simple installation and quick configuration will allow you to process transactions from anywhere in the world, increase conversions, and lower cart abandonment rates.BlueSnap will maximize your global coverage by offering your shoppers their local language, currency and payment type. Connecting your Magento checkout with BlueSnap does not require any development from your side. Simply Sign Up with us and we will provide you with everything you need to configure the BlueSnap extension. To integrate your Magento Store with BlueSnap follow this Integration Guide. Please contact us at Merchants@BlueSnap.com for any inquiries.